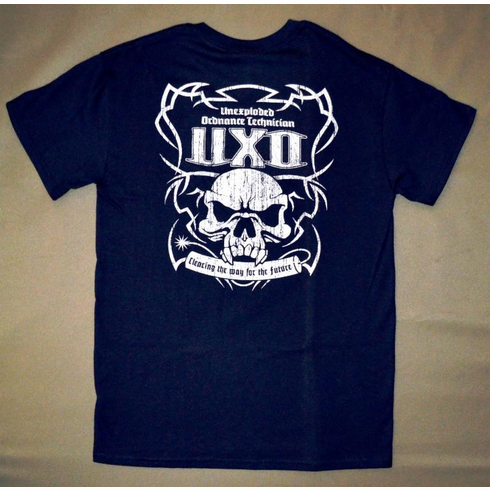 UXO Tee - Dark Blue Finally a shirt just for the UXO Technician. Dark Blue with white print in short sleeve. Goes great with the new UXO Challenge Coin. Get yours for the grid.